Top Up and fill up whenever you need to. All the control of a fuel card, without an extensive credit check. 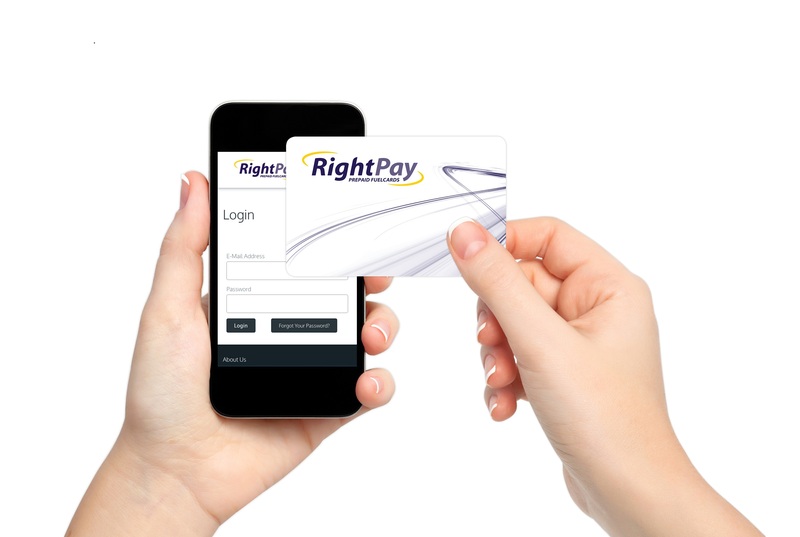 Enjoy full control over your fuel purchasing like never before with RightPay. Our prepaid system gives you all the benefits of a fuel card (you know the score... fixed price diesel, HMRC approved billing and much more) plus the advantages of real time spend reporting and the ability to Top Up your account 24/7 - from your computer, smartphone and tablet. With RightPay, you pay one fixed price for diesel every week at every station included in the network, regardless of the pole sign. What's more, you can get RightPay without extensive credit checks that could end up hurting your score. We'll carry out a simple ID and fraud verification check, then all the benefits are yours. Manage your fuel spend on the go - anywhere, anytime. 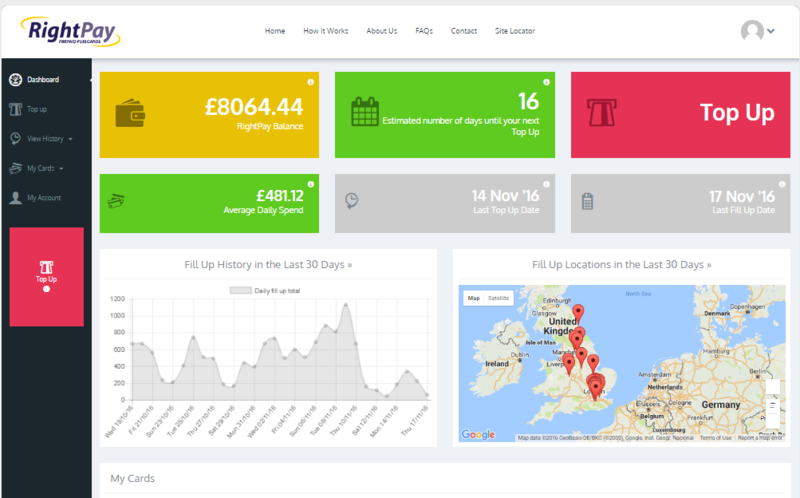 RightPay online account gives you round the clock access to total fuel management in just a couple of clicks, or taps. Once logged in, you can check your available balance, view details about your payments, refill locations and more. We'll even estimate how long your balance will last before you need to Top Up again based on your average spend. All reports are comprehensive and easy to understand, so you can get a clear picture of your fuel costs in no time at all. Fill out the form and we'll get in touch within one working day.